Spark kids' interest in rocks, geology, and our magnificent Earth via this teacher-recommended, fun, learning game from iLaughnLearn. 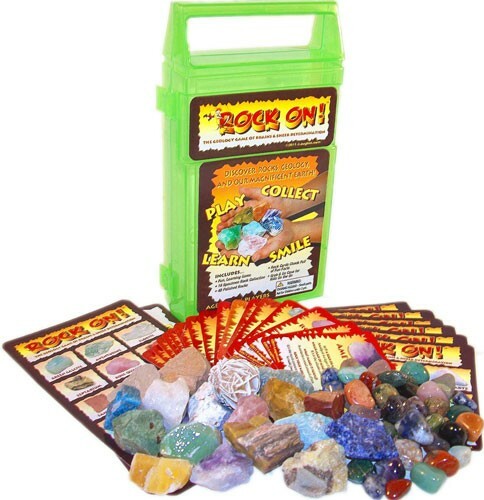 This American made product includes an 18 specimen rock collection any kid would be proud to own, plus over 40 polished rocks to use as marker chips, player cards, a master rock guide, 18 rock call cards full of educational and fun facts on everything from plate tectonics to ecology. The game includes five levels of play for up to six players and offers fun, challenge and knowledge for pre-readers through elementary school-age and beyond! It all comes enclosed in a carrying case with an easy-grip-handle. Grab it and go on play dates, in the car, to school, or Grandma and Grandpa's house. 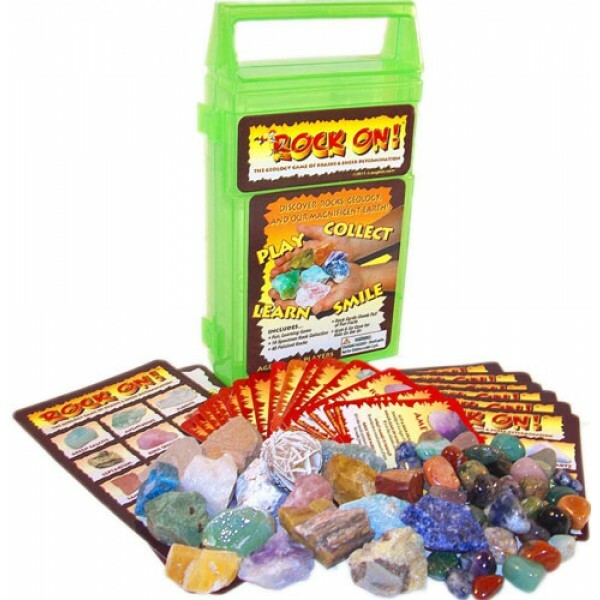 This combination game and rock collection includes large specimens of basalt, adventurine, rodonite, septarian, rose quartz, red jasper, sandstone, yellow jasper, amazonite, orange calcite, selenite rose gray granite, unakite, amethyst, labradorite, petrified wood, green opal, and sodalite.